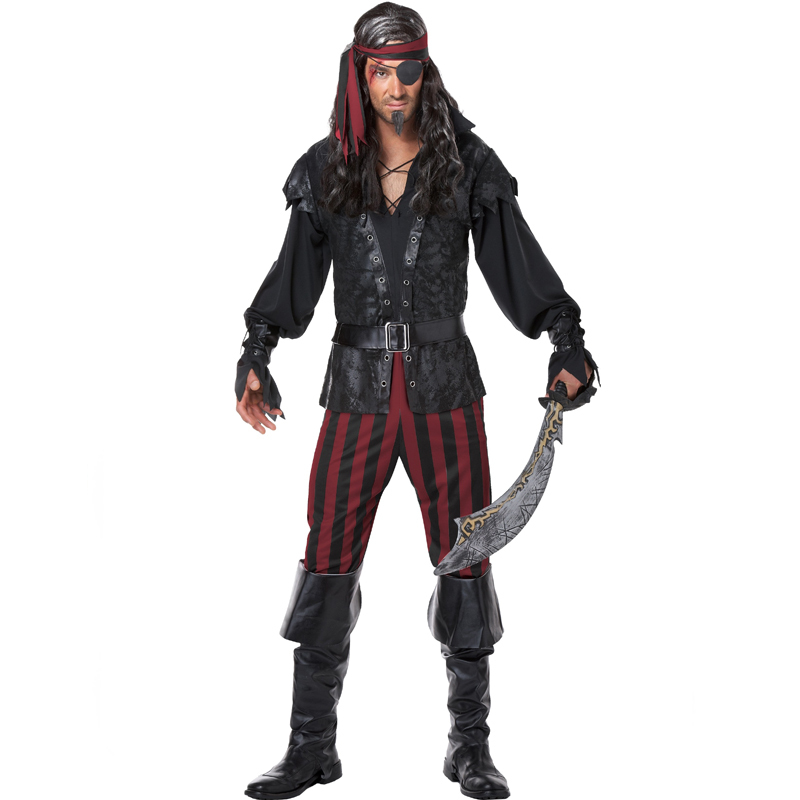 Pirate Coat and Hat Set is a great Halloween Costume idea. It is black with 10 gold buttons, 5 on each side with gold detailing spanning out from them. Gold buttons and details line the pocket and wrists. The coat goes to about your knees. 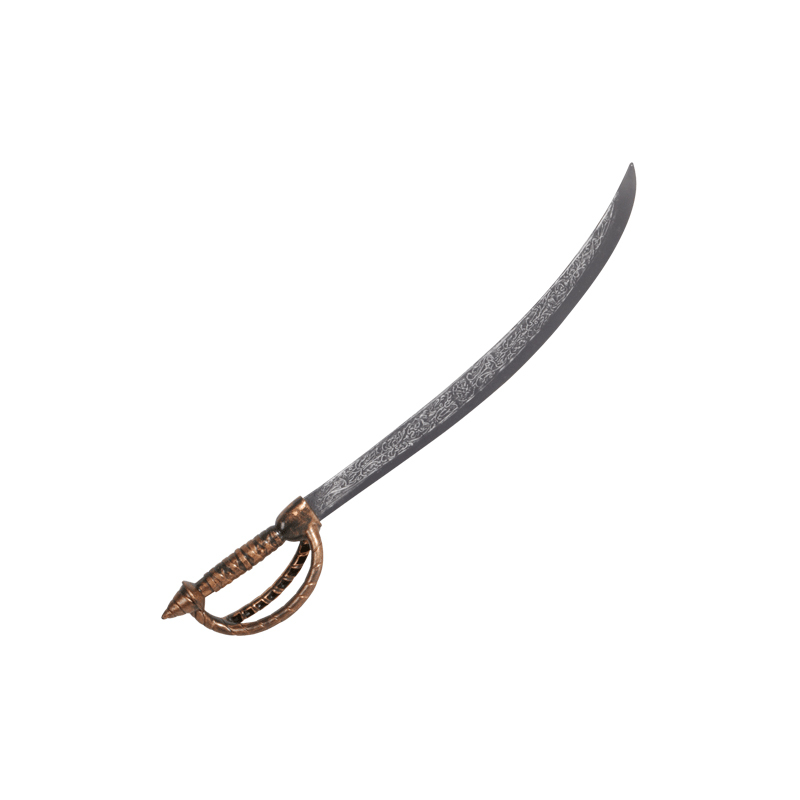 The hat is a black tricorne hat with gold detailing. 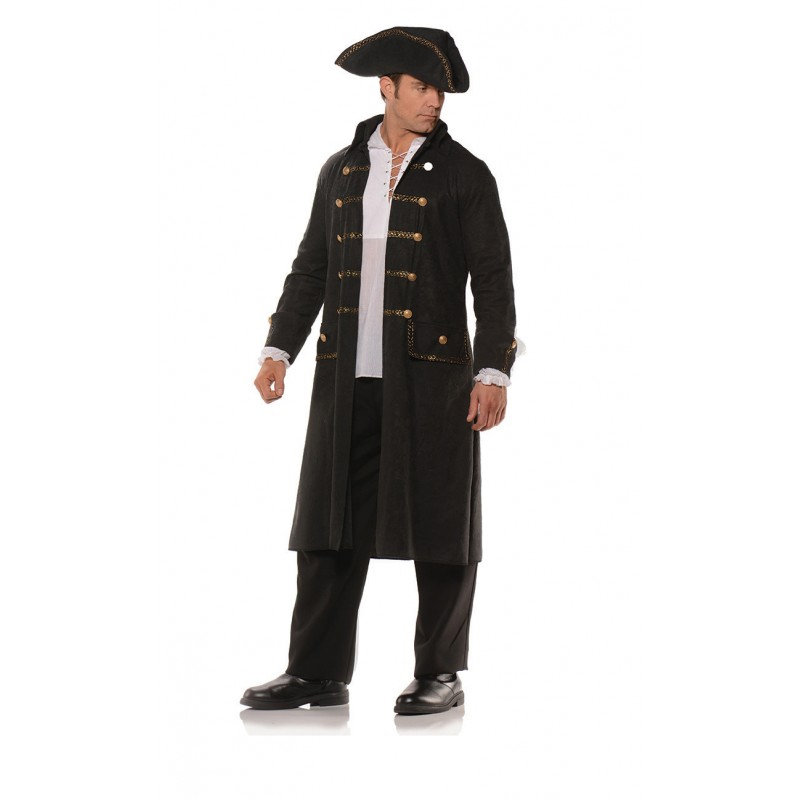 Pirate Coat and Hat Set is well made and can last you for more than one year is properly taken care of. Wear this to demand attention. Complete the look and buy the white ruffled pirate shirt.